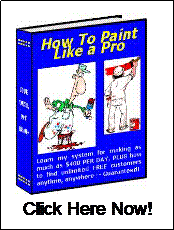 Painting Tool – Don’t Be Afraid To Buy It! I never bought a painting tool that didn’t become useful, stay useful and make me more money in my painting business. That’s a fact. 1. Ladders – I have a lot of them that I collected over time. Some came free or dirt-cheap. I have stepladders, extension ladders and even a ladder that folds into various shapes called a versa-ladder. 2. Florescent Light – the best light to paint with on a cloudy day or at night. A $12 shop light that has it’s own cord to plug it in with is ideal. 3. Paint Rollers and Paint Buckets – there is and endless sea of cage frames and roller buckets at your local paint stores. Buy each type as you need them. Some have a magnetic brush holder and a place to hang your speed roller. 4. Extension Poles for Rolling – like condoms they come in small, medium and large. As a painter you will need at least two sizes. 5. Tool Bucket – I have one with a tool pouch wrapped around it. I keep all the small hand tools a painter could ever need on hand. I have pliers, a hammer, assorted sizes of scrapers, a caulk gun, etc. 6. Fan – I like the small blower fans. They dry a room out fast so you can get to the second coat. 7. Brush Box – I keep more than brushes in mine. I have mini-roller covers, extra caulk, razor blades, medicine for headaches, etc. 8. Drywall Compound – I buy the 20-minute quick-dry formula. It comes in a sack. I pour the powder into a 5-gallon pale that has a lid. Anytime I need to make up a small amount of drywall “mud” I get a little out and mix it up with water. There you go. The basic tools-of-the-trade. The only other exception would be a work radio to listen to. 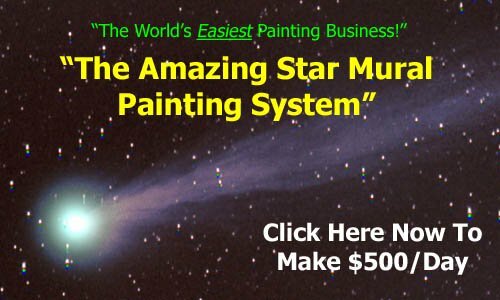 Did you enjoy this information about a painting tool? Thanks for visiting. Please click here for more.